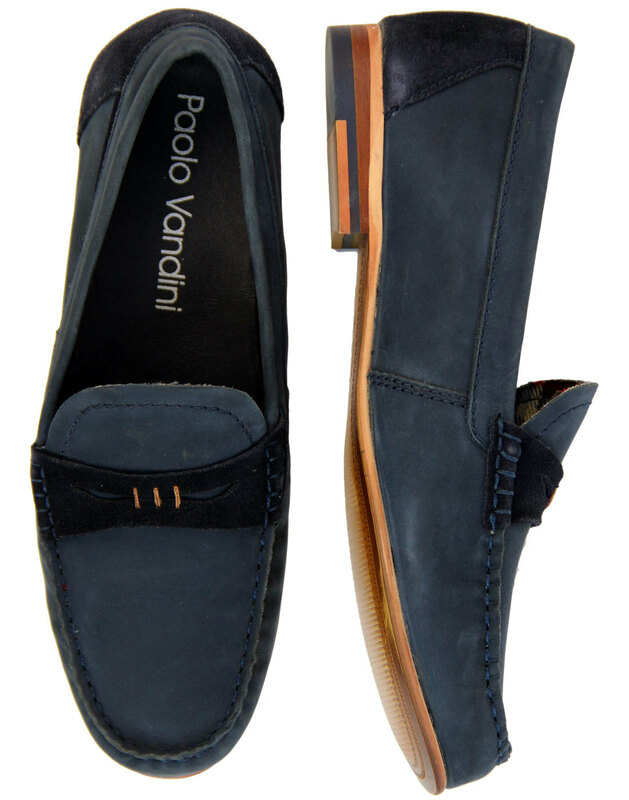 Paolo Vandini 'Rushil' Men's 1960s Mod nubuck penny loafer shoes in navy. A soft Vintage textured nubuck leather is pitched with a darker shade of suede to add a subtle pop to proceedings. This casual Retro 'Rushil' loafer is expertly finished with classic Mod tartan check interior trim, a hint f contrast stitching to the traditional penny loafer apron and the authentic Retro cinched moccasin upper. Contrast layered outsole and slight block heel finish the shoes off in style. 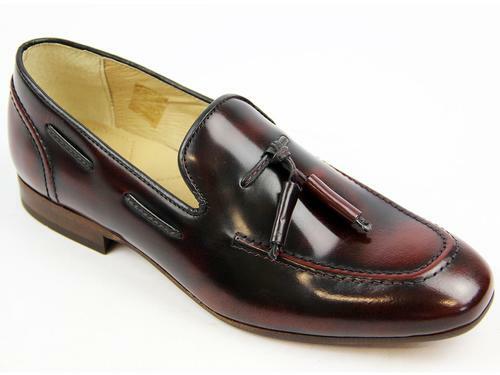 Combining Ivy League aesthetics with a contemporary Indie edge - 'Rushil' Penny Loafers from Paolo Vandini. 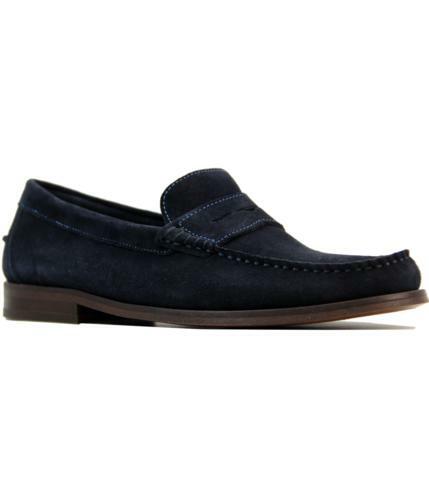 - Paolo Vandini 'Rushil' men's 1960s mod penny loafers shoes in navy. 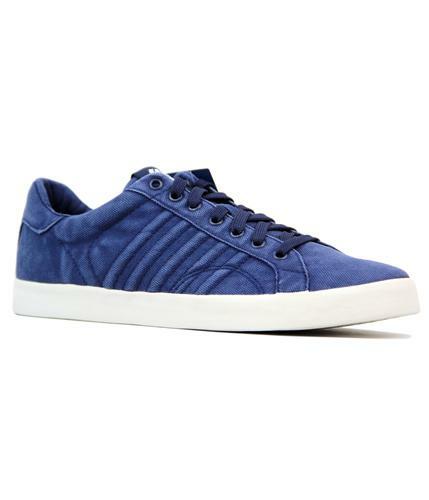 - Soft nubuck leather with retro suede trims. - Penny loafer apron with contrast stitch. 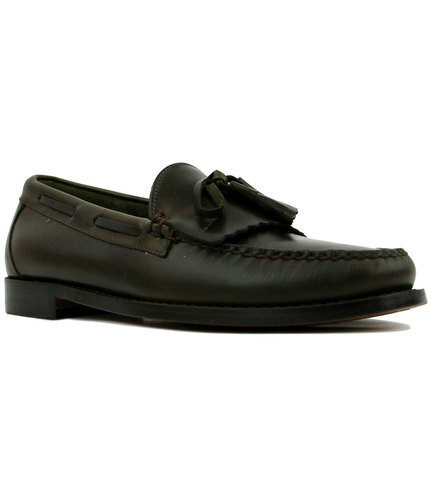 - Mod cinched moccasin upper. - Vintage wood effect outsole and layered block heel. Composition: Nubuck and suede upper, other outsole.